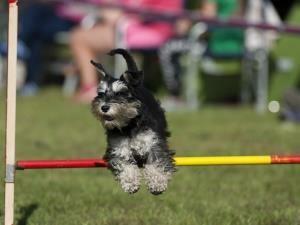 The annual Barking Mad Dog Show is back – bigger and better than ever before! There are stalls, raffles, doggy deli, demonstrations, as well as a bouncy castle for the kids, a hope Rescue pop up charity shop and of course the fun dog show itself! It’s a great day out for all the family and it helps Hope Rescue raise much needed funds to save the lives of so many dogs each year. You can find out more about the work of the charily and the dogs looking for forever homes. From M4 motorway leave at junction 32 and follow the A470 towards Merthyr Tydfil. Approximately 12 miles (after passing Services) turn right at the roundabout signposted A472 Ystrad Mynach and follow the brown historic building signs through Nelson village. From A465 Heads of the Valley road turn onto the A470 towards Cardiff. Follow this road past Merthyr Tydfil and turn left at the roundabout signposted A472 Ystrad Mynach. Follow the brown historic building signs through Nelson village.